Whether you're about to build your first site for your business or are looking to update its look, your choice in web design will be a significant factor in the success of your online marketing efforts. While there are no shortage of web developers in any given city, building a website is about more than covering the standard bases and getting something functional up for the world to see. WordPress began as a blogging platform that became popular because of how easy it was to select a pre-built theme and start creating content. Over the last decade it's grown into a very powerful platform for virtually any type of site, and many web developers have found that it's an effective launch point for fully customized websites that are easier to update and maintain than traditional HTML sites. The power of WordPress is a blessing and a curse, as some web firms rely on these pre-built themes to construct sites for clients. Since it's a template your site is not unique, and it's embarrassing for a reader to come to your site and feel like it's one they've seen before. It can be difficult to adapt a template to properly convey your brand in terms of colors, sizes, and general impression. And in some cases, heavily modifying a template can be almost as much work as building a custom theme. 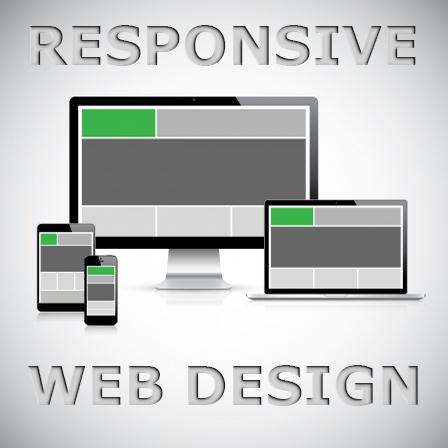 A custom design that a developer builds for your site is ideal in most situations. You'll have full control over the layout, the presentation of information, and the site's functionality. Having a design that speaks well to your brand is huge. Consistency is important to any branding campaign, and let's face it: people draw conclusions from the look of your marketing. In the same way that a cheap business card printed on flimsy paper sends the wrong message about your business, a poorly constructed website does not convey that you're an authority in your industry. It's a well established truism that web users make a decision about whether to stay on a site they land on or leave in under ten seconds. Everything from how attractive the design is, how easy it is to find what they're looking for, and whether the content engages them will determine whether they keep browsing the site or hit their back buttons. Custom designs may require a larger investment than template sites, but they are far more likely to hold traffic if built well. There's a saying I've heard about the writing field that applies to most things, and it goes like this: "So you think hiring a professional writer is expensive? Try hiring an amateur." The idea in that is that while hiring the professional is more 'expensive' at first, they'll actually get the job done right and you'll presumably get the results you were seeking. Spending 'less' money with an amateur that fails to deliver was just throwing money out the window. It's kind of a harsh reality in any industry, but if you've ever been bitten by this you know what I'm talking about. Don't trust your next web design to chance. Give us a call to discuss your ideas for your website and learn about how Design One Web can create an engaging experience for your visitors!